Halloween is not that far away and the way the months have been flying by, it will be here before we know it! If you love to make DIY Halloween Costumes then you know you have to plan ahead. 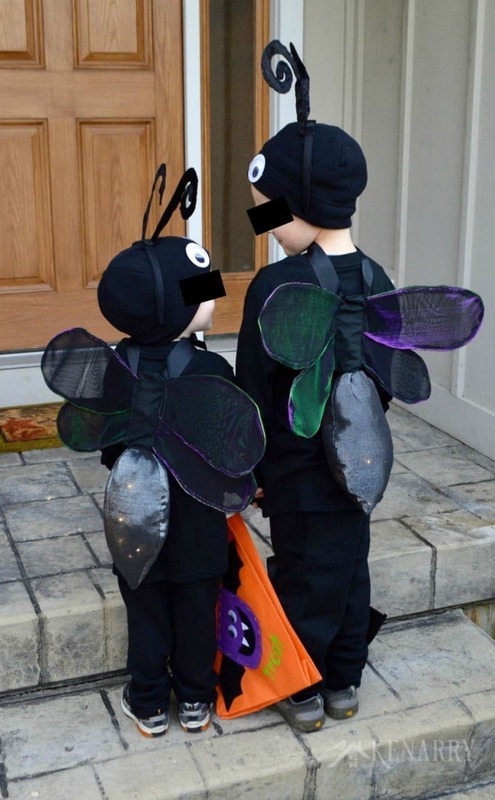 DIY costumes are so much cuter than store bought, don’t you think? In addition, they are unique and special. We asked our friends to share a few of their creations with us and OH, MY!… You are in for a treat and I bet it gets your creative juices flowing! It was hard to choose which ones to feature! As a matter of fact, I couldn’t resist adding in an extra one. They are all just too darn cute! We love creating our own costumes too like this fun DIY Tutu! If you have a little girl, I’m sure she will love the costume! Oh, my goodness! 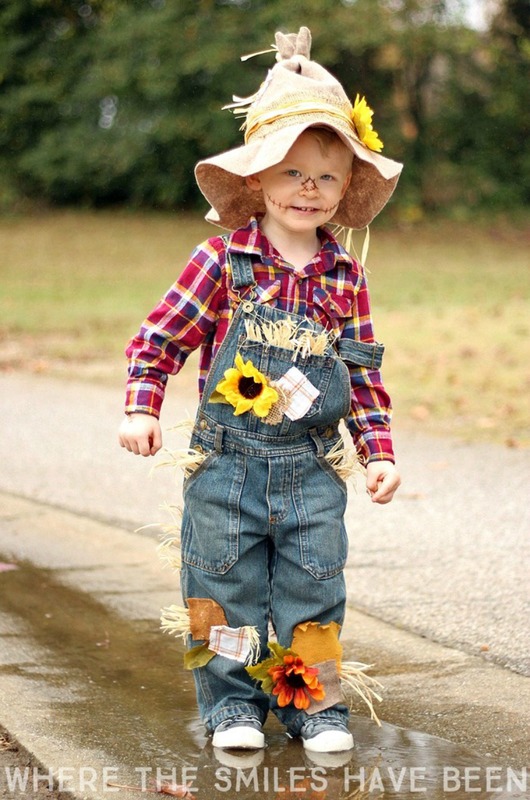 How adorable is this DIY Scarecrow Costume from Where the Smiles Have Been? The only thing better than its cuteness is how unbelievably easy it is to make. If you can handle a glue gun, you have this one in the bag. And, it is sure to be a BIG hit this Halloween! Of course, we love for our infants to join in on the fun holiday! 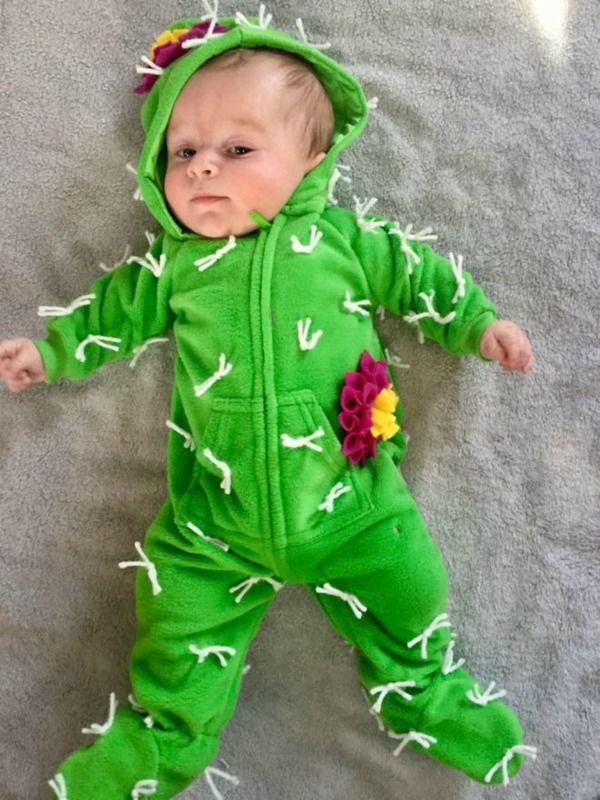 Just take a look at this adorable Infant Cactus Costume from the Happiest Camper! It is made with a little felt and yarn and, of course, a trusty glue gun. With this cute outfit, baby will be the hit of the festivities! If you love easy, then this super cute Bat Costume from Tikkido will win your heart! It just doesn’t get any easier than this! The whole thing only took about 10 minutes, start to finish. Your little monster will be “frightening” cute! I fell in love with this Carrot Costume for Toddlers from Moms and Crafters. This cute costume cost very little to put together and is also super easy. It really is so adorable you can’t help but smile! I just had to share one more feature! These darling Firefly costumes from Kenarry are just too darn stinkin’ cute! They are original, unique, and fun! They do require a little more prep but oh so worth it! 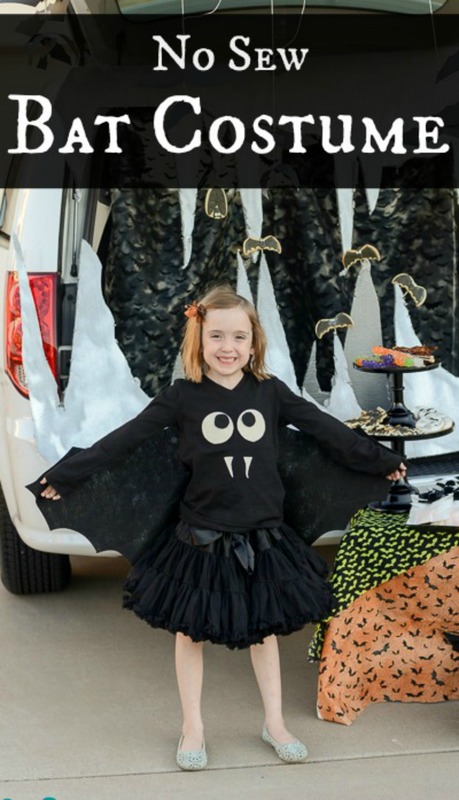 On Halloween night, just have your child put the costume on starting with the black sweatpants and shirt. Then turn on the lights and strap the DIY wings to their back. They are ready to light up the night! 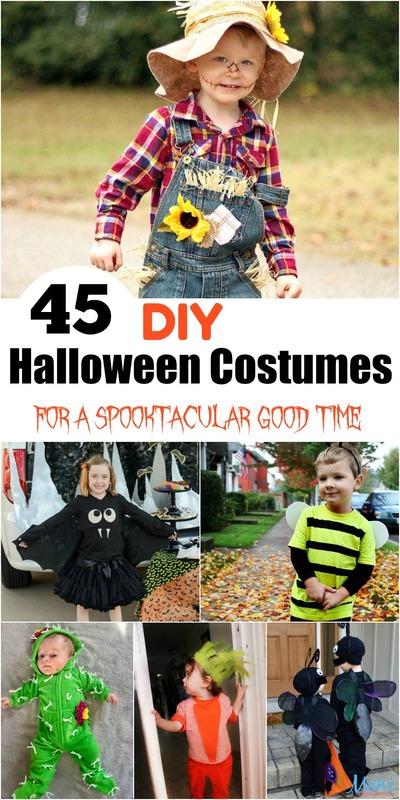 For Spooktacular Fun try these fun DIY Halloween Costumes!